To confirm a booking a 50% deposit is required at time of booking balance due on arrival. 2 night minimum stay. Maximum 8 adults per cottage. Rooms and facilities for use of resident guests only. Extra guests breaches the terms & conditions of our agreement and your booking may be cancelled immediately without refund. Such a breach could also incur further costs at owner’s discretion. We are pet friendly at Warriwillah. Arrangements must be approved prior to arrival. Pets require a bond of $500.Owner is required to clean up after their animals. Failure to do so will incur a cleaning fee and potential loss of bond. Warriwillah is a non smoking environment. All cancellations are charged a $50 administration fee. Bookings cancelled with 30 or more days notice of your arrival date will be fully refunded. 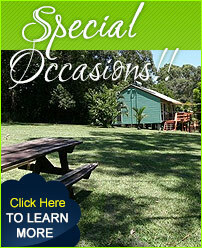 Bookings cancelled less than 30 days to your arrival date will be refunded only on re-­letting of your cottage.